Incorporating an interactive element into your design is a great way to connect on a deeper level with your customer, and to provide a personal and value-added aspect. Metallic foil instantly elevates your design for a luxurious feel. Foil is available in a variety of colours and patterns to complement your branding. Hanging tags around the necks of your bottle can be used to deliver additional information, communicate promotions, or to add a personal message! A tab on your label is an unexpected way to deliver additional information about your product! Custom cutting can be used to create uniquely shaped labels, or to add cut-outs within your label like they’ve done here. Another clever way to get your customers interacting with your product – add a simple game to the label, such as a maze or connect-the-dots! Add subtle texture to your label with embossing, which creates a raised texture on the stock. This is a great way to emphasize graphic elements or logos. This witty design uses custom cut labels in the shape of glasses to add a fun, interactive element to the product. Incorporating unexpected colours into your label design can help your bottle stand out on store shelves. We’re loving the art deco/art nouveau vibe of these labels. Think beyond the bottle! 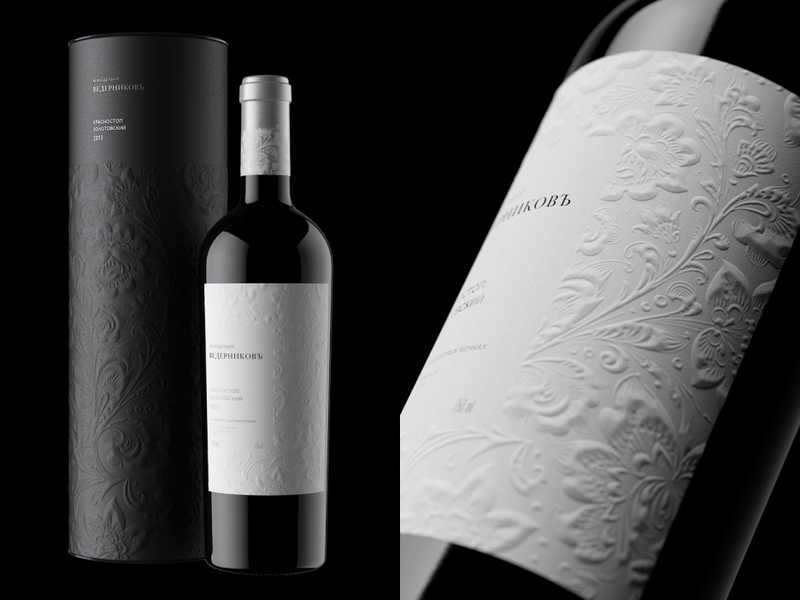 This design plays off the idea of having a glass of wine with a good read by having the label serve as the book. The application of the label on this bottle moves beyond traditional thinking to incorporate different dimensions in the form of layers and texture. Feeling inspired to get started on your own wine packaging project? Contact your local TPH branch and we’ll help bring your ideas to life.